Another Home Leased by Premiere Team Real Estate – Stainless Steel Appliances, 2 inch white blinds throughout, Large covered back patio, Large back yard, Open floor plan, Lot’s of natural lighting, Upstairs game room can be an office or sitting area. 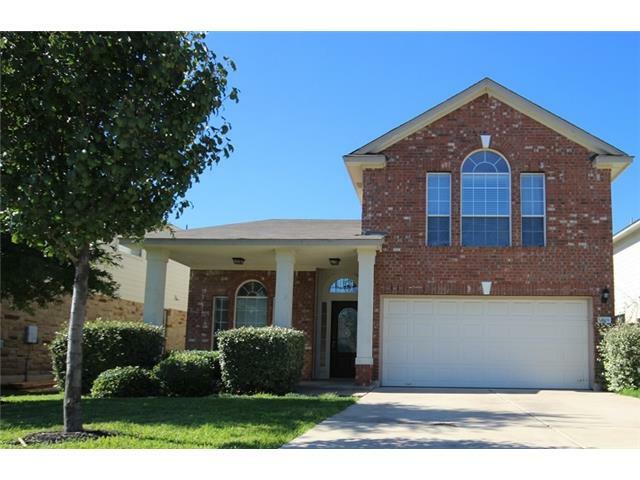 Walking distance to parks & elementary school. Another Home Leased by Premiere Team Real Estate – Charming 1 story home with lush landscaping in front and back yards. Faces South, family room has lots of natural light, and a cozy fireplace. Eat in kitchen opens to back yard entertaining area. Spacious master w/ huge walk in closet. Large secondary bedrooms w/ plenty of storage for growing family. Beautiful laminate flooring. Refrigerator included. Sprinkler system. Easy access to highways, shopping, restaurants, and schools. Tile floors in living, dining, kitchen, hall ,bathrooms and Carpet inbedrooms. Vaulted ceilings in master and living. Breakfast bar and fenced yard that wraps around the side and backyard with a covered patio area off the living/dining room. Quick access to MoPac and IH35.